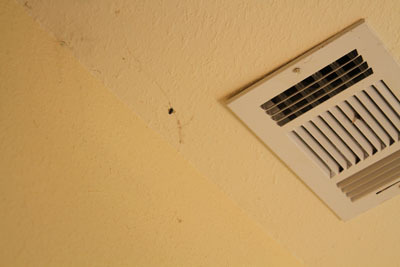 Bugs and spider webs at ceiling are removed with dusting stick. With the emphasis on environmental safety and protection, how is the pest control industry following "green" guidelines? 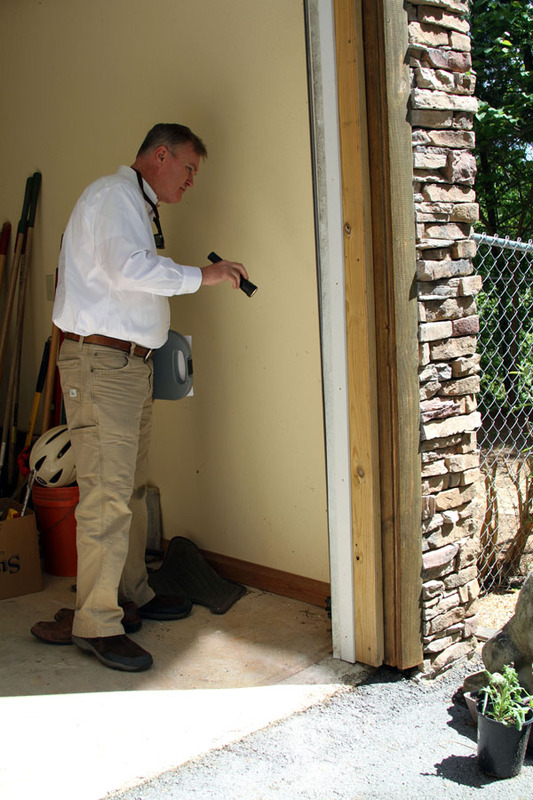 The pest control industry is a leader in green technology and practices. Examples include the use of minimum risk products and using these chemicals predominately outside living and working spaces (where pests originate). Other practices include the use baits, traps, pheromone attractants, and other non-chemical control measures. 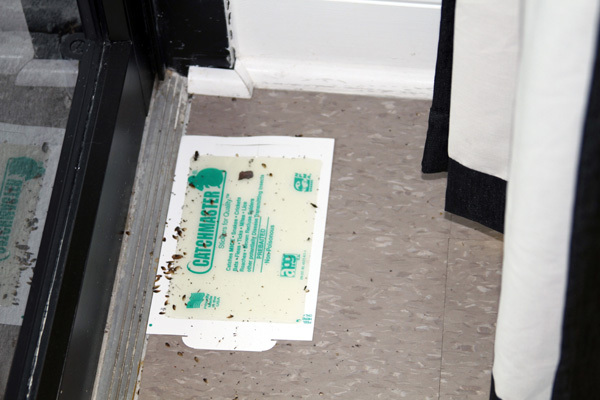 Pest exclusion methods have been incorporated including sealing holes, caulking cracks in doors and windows, and eliminating pest entry areas in homes and buildings. These practices are all important components of an overall Integrated Pest Management (IPM) program. In Tennessee and Georgia continuing education for pest control technicians and managers emphasizes environmentally-sensitive control and elimination methods. Sentricon® was the first pest control product to receive the Presidential Green Chemistry Challenge Award. 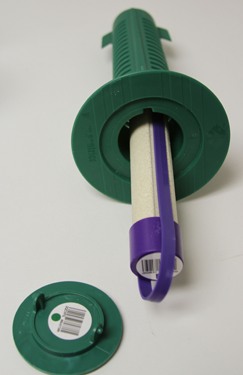 Glue boards are use in pest monitoring and pest detection. This door needs a new door-sweep to prevent pets entry.